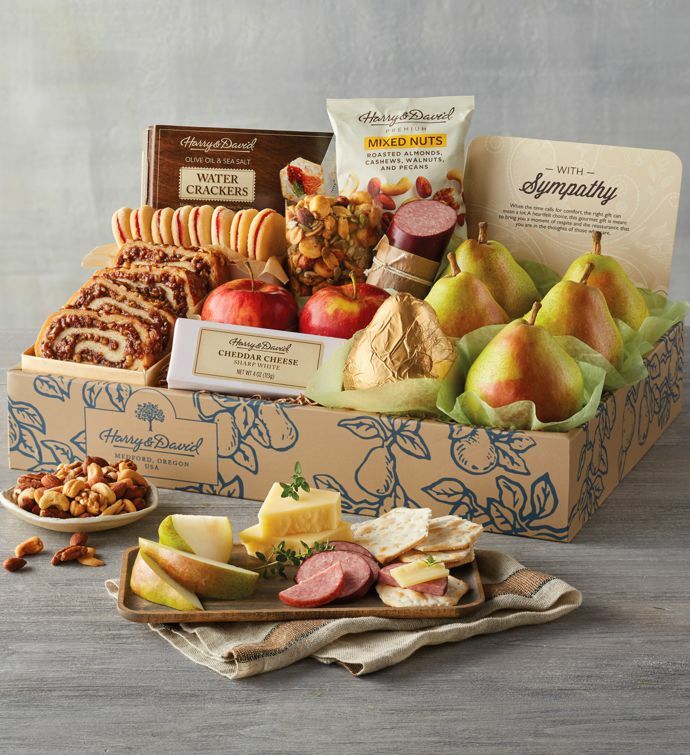 This elegant gift box contains a thoughtful collection of gourmet foods, each carefully selected from among beloved favorites. Included are our juicy, handpicked Royal Verano® Pears, sweet raspberry galettes, sea salt and olive oil water crackers, white cheddar cheese, and more. We've also included a sympathy sentiment with a touching statement to let your recipient know that they are in your thoughts.